The parallels between 2014 and 2019 are too obvious to ignore. You know Congress president Rahul Gandhi has finally hit the right note with his audience when it’s not a compilation of his ‘goof-ups’ or commentary on his wardrobe making news. He has now learnt the art of grabbing the headlines and staying on top of them. It appears as if Rahul has picked up lessons from Delhi Chief Minister Arvind Kejriwal’s shoot-and-scoot rulebook. And the run-up to the national election in 2019 is beginning to resemble the feverish months—full of scams and allegations—before the 2014 polls. After all, what’s an election season without the scent of scams that shake things up and take centre stage? And Rahul has made no secret of his admiration for the way Kejriwal stormed the 2013 Delhi Assembly election. Even after private news agency ANI’s big interview with Prime Minister Narendra Modi, it was Rahul who stayed on longer—streaming on every news channel. He spoke to the media outside Parliament and at the Congress office. He spoke in Parliament while Modi skipped the session. Much like Kejriwal in the early days of Aam Aadmi Party, Rahul has realised that a shrewd opposition leader is one who poses questions, unrelentingly. Rahul is asking PM Narendra Modi—of Exam Warriors fame—questions on the Rafale defence deal in Parliament, at press conferences and even on Twitter. He even appears to be tracking Modi’s travel schedule and urging students at Punjab’s Lovely Professional University, where the PM inaugurated the Indian Science Congress today, to ask questions about Rafale. Incidentally, that is what Kejriwal did in 2012 and 2013—ask questions about the 2G and CWG scams, and the Radia tapes. He pulled out new dossiers almost on a daily basis, just like Rahul is pulling out new numbers, file notings and even an audio tape from Goa. It seems he will even rope in journalists in this hunt for that ‘blockbuster byte’. 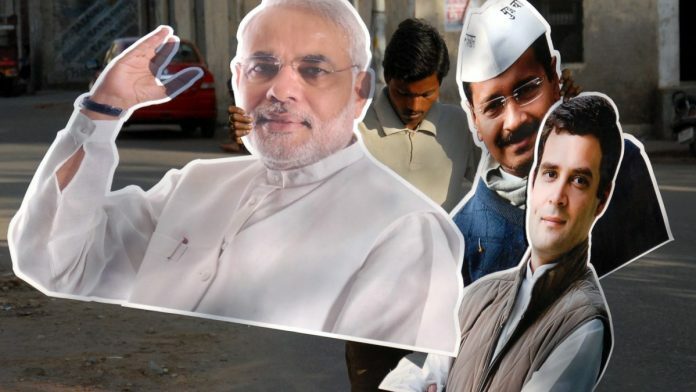 Rahul accusing Modi, saying ‘chowkidar chor hai (the watchguard is a thief)’, mirrors Kejriwal accusing political peers, saying ‘sab mile hue hain (they are all hand in glove)’. That Kejriwal’s accusations caused tangible damage to the targeted politicians is debatable, but they definitely ensured he stayed in the headlines and dominated the zeitgeist. A few decades ago, lawyer Ram Jethmalani adopted the same tactic in dogged pursuit of the Bofors scandal. Upon his return from Sweden—after conducting an independent inquiry into the Bofors scandal—he vowed to produce 10 questions for then Prime Minister Rajiv Gandhi ‘every day for the next 30 days’. In his words, ‘till you are removed from office, whichever is earlier’. He kept up the pressure on Rajiv Gandhi. One can argue whether Rahul’s ways are the most ethical, far-sighted and honest; but one cannot deny their efficacy. So much so that political analysts have begun to say that, of late, Modi has been on the defensive and is following the narrative set by his rival—from farm loan waivers to Rafale. And unlike Kejriwal, he doesn’t even have to worry about building a political party from scratch. If elections are going to be lost and won based on videos forwarded over WhatsApp—there is plenty of content from Rahul Gandhi of 2019. Finance minister Arun Jaitley may be reading out numbers to defend his government on the Rafale issue in Parliament, but Rahul is not letting these numbers get in the way of his tirade. Rahul has perhaps repeated the word ‘Rafale’ the same number of times that Kejriwal uttered the words ‘scam’ and ‘ghotala’ in 2013. Something’s gotta stick—especially when he has to grapple with the spectre of ‘middleman’ Christian Michel virtually singing during a probe into the Agusta Westland helicopter deal that shook the UPA rule in 2014. Defence minister Nirmala Sitaraman even managed to bring the ‘Q’ of Bofors into the Parliament debate to counter the ‘AA’ of Rafale. Having been lampooned as ‘Pappu’ and ‘clown prince’ in the past, Rahul knows that no label lasts forever and it is possible to shed the image that has been plastered on him. And shed he did—take, for instance, the fact that just last week, India Today ran a cover titled ‘The Evolution of Rahul Gandhi’. Of course, this isn’t to say that Rahul’s perpetual accusatory mode—as it were—may not come at a cost. Let’s not forget that Kejriwal—similarly fond of accusing his political opponents—has spent the past year apologising to several leaders. But, is that such a terrible cost if it can help you reap electoral benefits? And so, the big question of the hour is if Rahul’s Rafale storm can bring votes. Did Kejriwal reap the benefits, Ma’am? Punjab, Goa, Rajasthan …. What a fall for RG to be following in the footsteps of AK, the drama queen and professional protester! RG will also be as short-lived as AK!